If you are a fan of luxury, high-performance boats then the name MasterCraft isn’t new to you. Based in the US, the company was founded in 1968 and has become the most popular choice for water sports fanatics. The founders of MasterCraft, boat fanatics themselves, worked on a modified hull design that was perfect for water skiing and wakeboarding. In the first year of operation, they only produced 12 boats—today Minnetonka, MN residents can’t get enough of this deluxe craft. Anchor Marine Repair has worked on MasterCraft boats for years and would be happy to assist you in repairing your boat to your satisfaction. Our team specializes in repairs to fiberglass, metal flake repair and aluminum boat repair for collision, structural, and storm damaged boats. MasterCraft began an exclusive partnership with one of the world’s leading high performance engineering firms, Ilmor Marine engines. The Ilmor engines have enough power to pull a train! This power is perfect for skiing and wakeboarding in Lake Minnetonka. Just a year later, the two companies unveiled the Ilmor 7.4L engine, more efficient and powerful than other marine engines. In fact, this engine is a normally aspirated, supercharged engine. Whether you own a boat from the Prostar series or any other MasterCraft line, you can depend on Anchor Marine Repair for all your MasterCraft Boat Repair and Maintenance Services. This includes direct drive ski boats (Prostar series) the X-Series Wakeboard boats and all MasterCraft models that use Ilmor inboard marine engines. We know you love your boat—we do too! 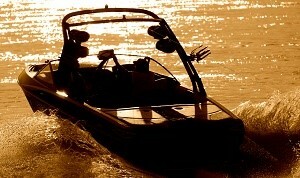 A MasterCraft boat isn’t just an investment; it is an important piece of equipment to any boat enthusiasts. From surf boats to ski boats, you can trust Anchor Marine Repair with your treasure. We specialize in MasterCraft boat repair and maintenance services and would love to help you get the most out of your high-performance machine. Don’t take a chance with your MasterCraft boat repair, take it to the pros and get it right the first time! Call us today at (763) 972-3540 or email us at anchormarine@frontiernet.net. Our offices and workshop are located at 667 Babcock Boulevard Delano, MN 55328. Our office hours are Monday thru Friday: 8:00 am to 5:00 pm and Saturday: 8:00 am to noon. Anchor Marine Repair is Minneapolis’ leading boat repair company.